Classic for fall, gray pindot pattern cotton twill tote bag. 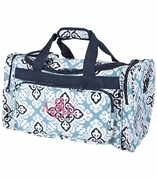 This monogrammed travel bag works for a light weight carry-all for shopping, take it on vacation, lunch with friends or football game. 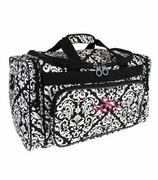 Easily fits a laptop or Ipad with additional room for lunch or small handbag. This roomy tote with genuine handles attached with brads, will compliment a work or travel ensemble.. Interior is lined with inside zip pocket and snap closure.. 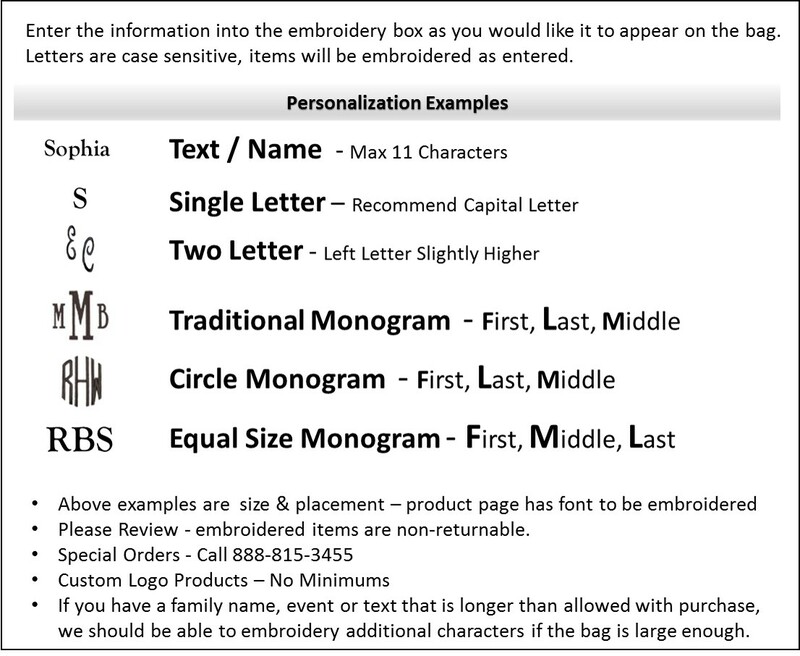 Terrific for monogramming with our new accent initials near the top of the tote. NOTE.. 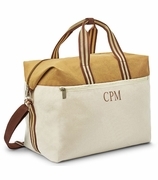 ACCENT MONOGRAM IS APPROXIMATELY 1 3/4" AND IS PLACED NEAR THE TOP OF THE TOTE BETWEEN THE HANDLES. 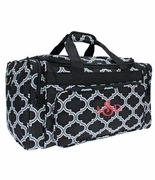 Monogrammed herringbone travel tote measures 21�W x 15"H x 7� across bottom. Includes three letter monogram.